Description: This model has enormous talons to shred opponents with cosmic power. Scales up to level 42! Description: Launch a rapid fire of 3 enormous flares at your enemy and cause critical damage! Description: Pummel your enemy with a beatdown they won't soon forget! It has a chance for critical damage! 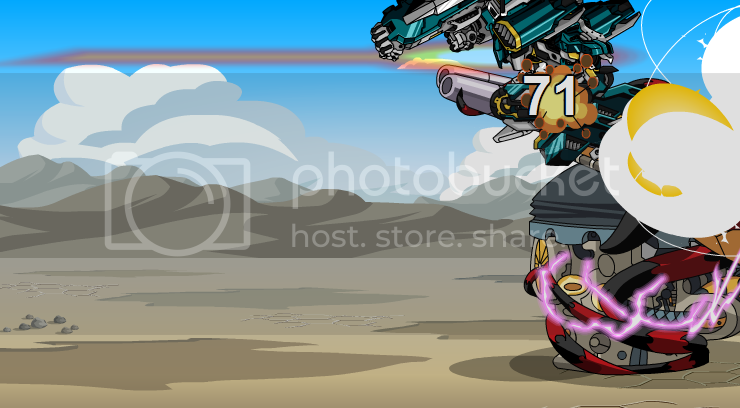 Description: Launch a fierce burst of lasers at your enemy for a chance to lower their accuracy! 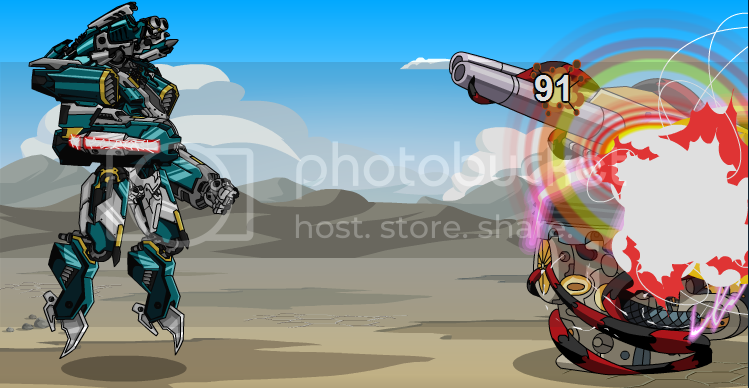 Description: Launch a quick burst of smaller missiles at your enemy then finish him off with a larger missile! 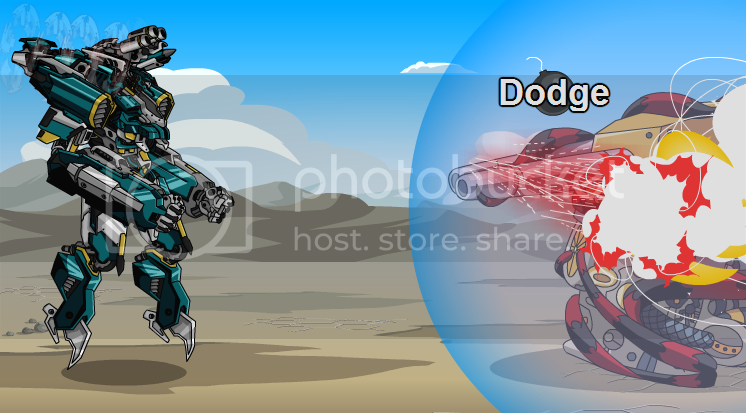 Description: Grip your enemy's armor and shred it to bits with your mecha's enormous talons! Description: This transforming head will become a semi-nuclear warhead and destroy your enemies!